Last week, A World of Buzz was presented with the prestigious Queen’s Award for Enterprise at its headquarters in Goring-By-Sea. 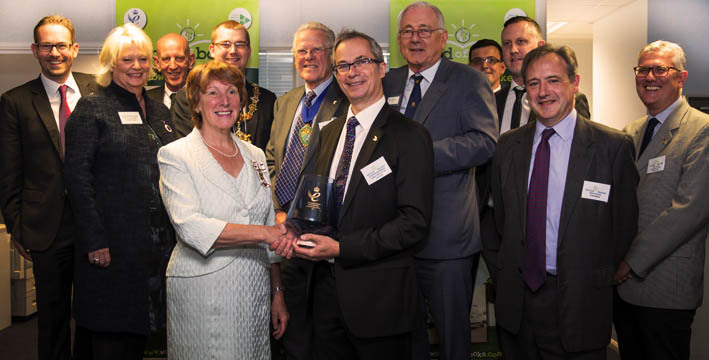 CEO Stephen Boobyer welcomed the Lord Lieutenant Mrs Susan Pyper, who represented Her Majesty the Queen in presenting the business with a royal Citation, and a commemorative crystal bowl. Guests also included Sir Peter Bottomley, Conservative MP; Lionel Barnard, Chairman of West Sussex County Council; and Alex Harman, Mayor of Worthing. Accepting the award, Stephen Boobyer said: “The Queen’s Award for Enterprise is a huge accolade and I am incredibly proud of the team for receiving such prestigious recognition in the international trade category.